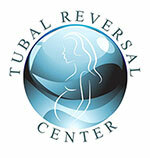 The younger a woman is, the more likely she is to conceive after a Tubal Reversal. Certain types of Tubal Ligations, such as Filshie clips, have a higher chance of success after reversal than others. Each type of Tubal Ligation occludes a different amount of the fallopian tube. Filshie clips occlude a shorter amount of tube than the Pomeroy method, leaving a longer tube to be restored. Studies show that the longer the restored fallopian tube, the higher the chance of pregnancy after a reversal. Reversal of Tubal Ligations located at the midpoint of the fallopian tube have a higher success rate than those performed closer to the ovary. An incredibly important factor in choosing your Tubal Reversal doctor is choosing one who can meticulously perform the surgery to give you the best results humanly possible. While almost any surgeon can perform a Tubal Reversal, less experienced Tubal Reversal surgeons simply do not possess the experience and expertise to deal with the intricate and unexpected problems that each patient will individually possess. Because of these individual differences and surgical intricacies, the success rate is significantly higher with a more experienced Tubal Reversal surgeon. Since you only get one chance at a Tubal Reversal, it is important to very carefully choose a surgeon who will give you your absolute best chance of success. Dr. Morice is extremely skilled and experienced in the use of microsurgical tools to perform the Tubal Reversal procedure and achieve these exceptional results. Because of his many years and high volume of performing successful Tubal Reversal surgeries, Dr. Morice is an internationally recognized leading expert in Tubal Reversal surgery. His expertise allows for small incisions, precise suturing, and innovative methods of dealing with complicated surgical repairs of the Fallopian tubes encountered during Tubal Reversal surgery. Dr. Morice has more than 15 years of experience performing Tubal Ligation reversals and he has performed well over 1000 successful Tubal Reversals. Due to Dr. Morice’s high success rate there are hundreds and hundreds of happy moms, dads, babies, children, and families in our world. These families are living proof of his great care, compassion, and skill for excelling in the field of Tubal Reversal surgery.